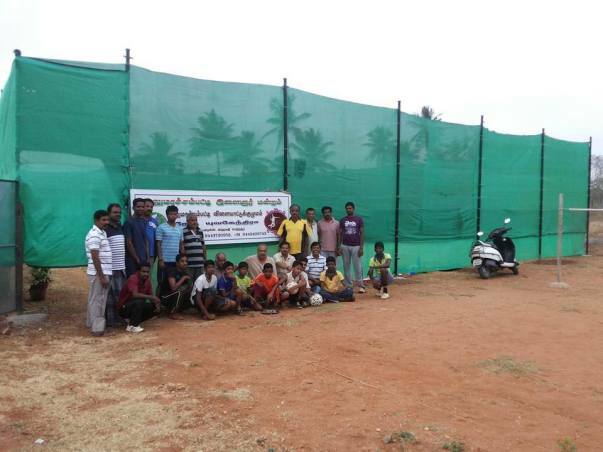 Help Open Badminton Court for Village! 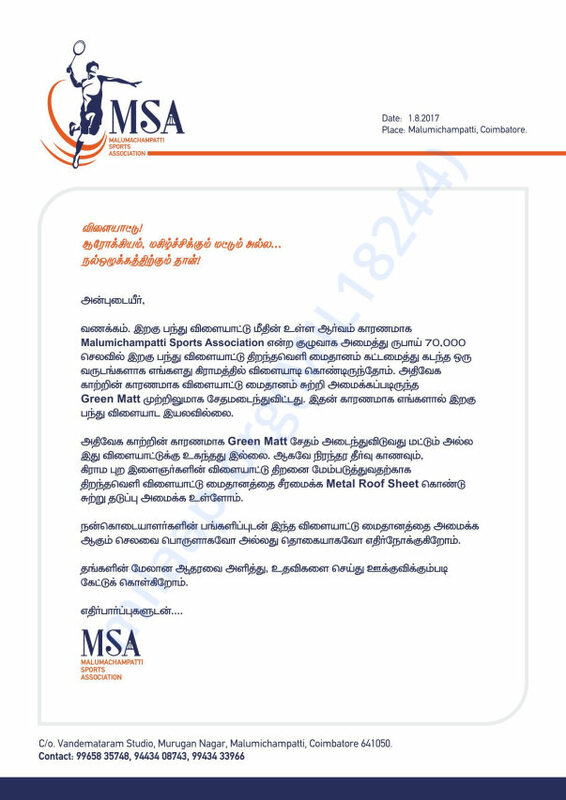 We are taking about real games and it's importance.. 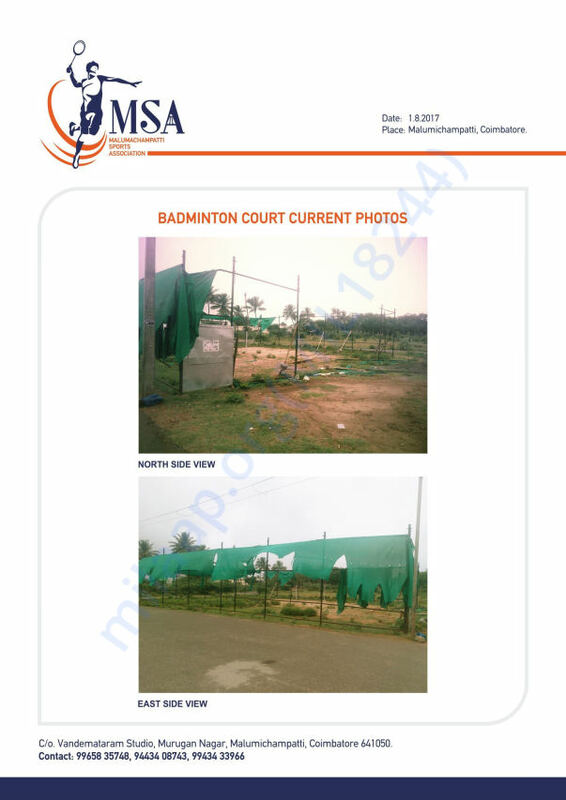 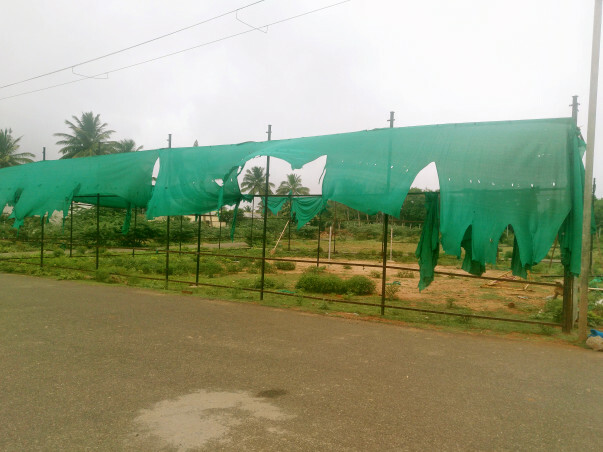 Many sports-loving, especially Badminton loving people of Malumichampatti, Coimbatore, Tamilnadu joined hands and established an open Badminton court which had Green Matt covered perimeter. 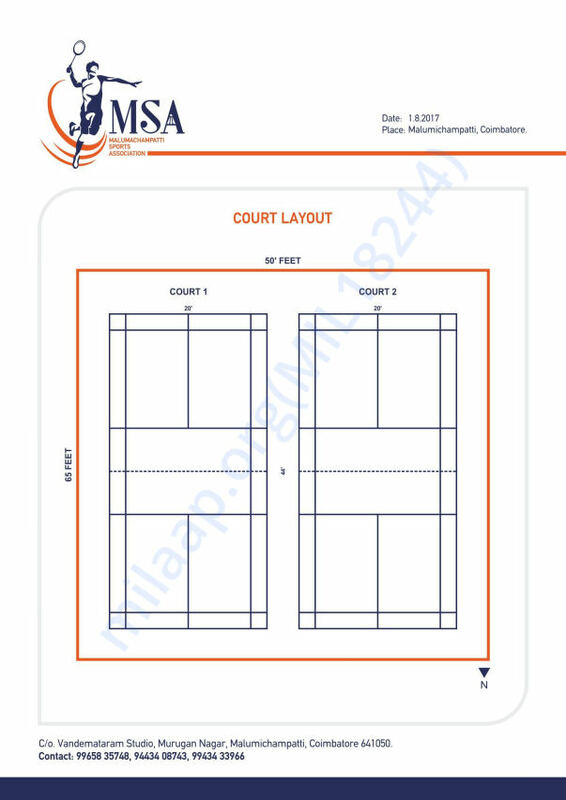 This court has seen many matches bringing so much joy and fun in the lives of many players based in our village besides providing the excellent opportunity for physical fitness, focus, concentration and competitiveness all qualities needed today. 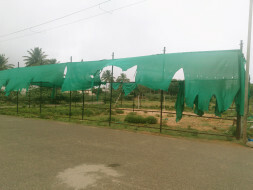 Recent rains and extreme weather conditions has unfortunately damaged our Green Matt perimeter. 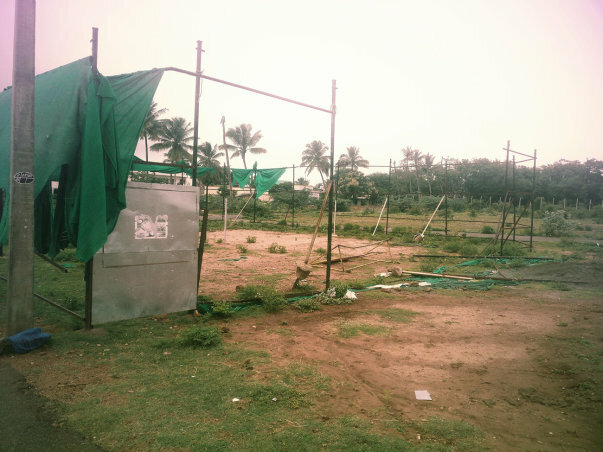 We would like to completely bring it down and build a permanent and Sturdy cover made of Metal Roof Sheet. 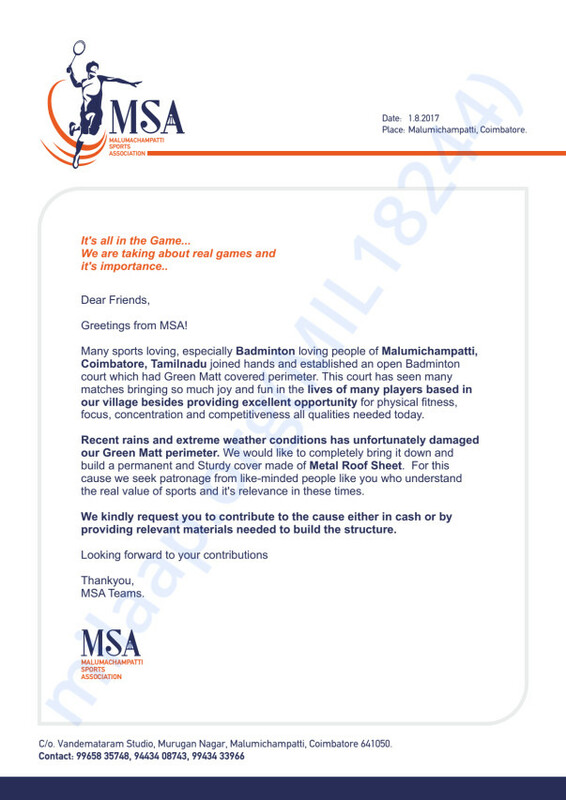 For this cause, we seek patronage from like-minded people like you who understand the real value of sports and it's relevance in these times. 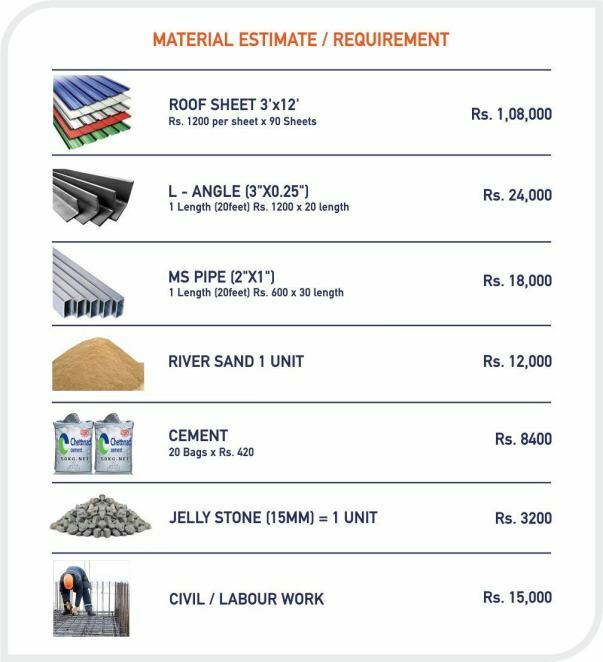 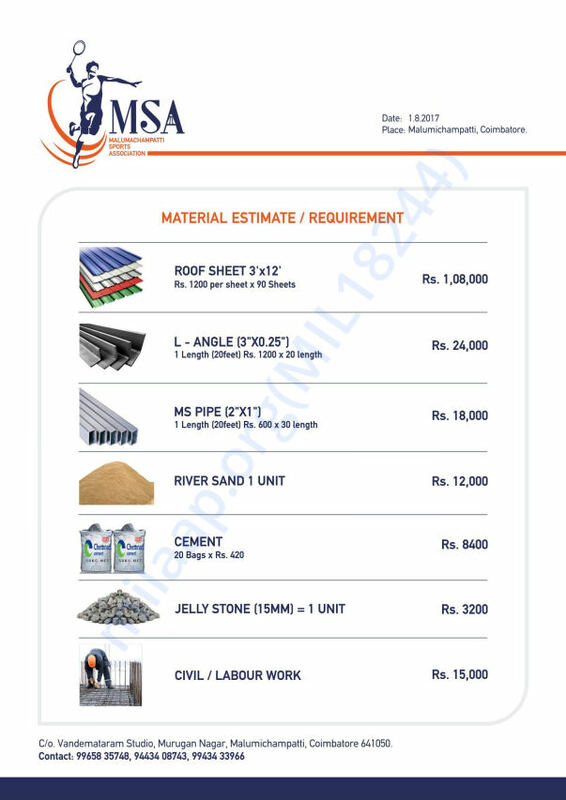 We kindly request you to contribute to the cause either in cash or by providing relevant materials needed to build the structure. 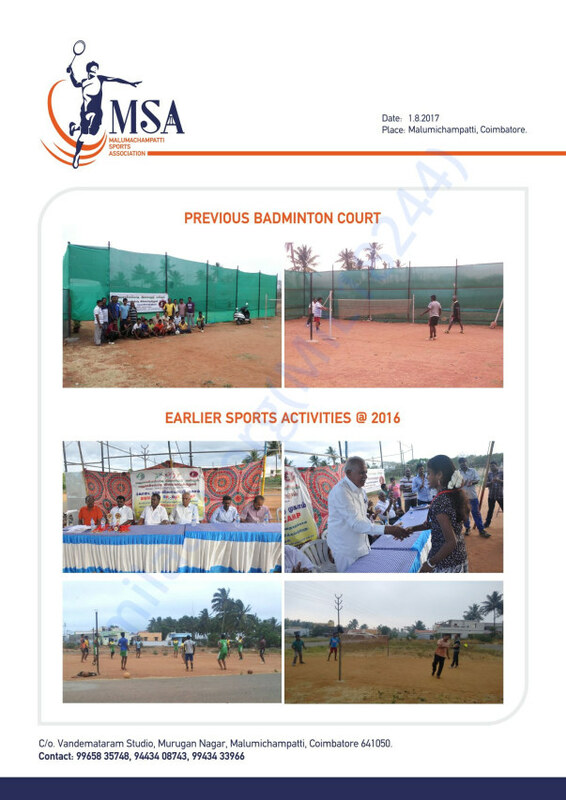 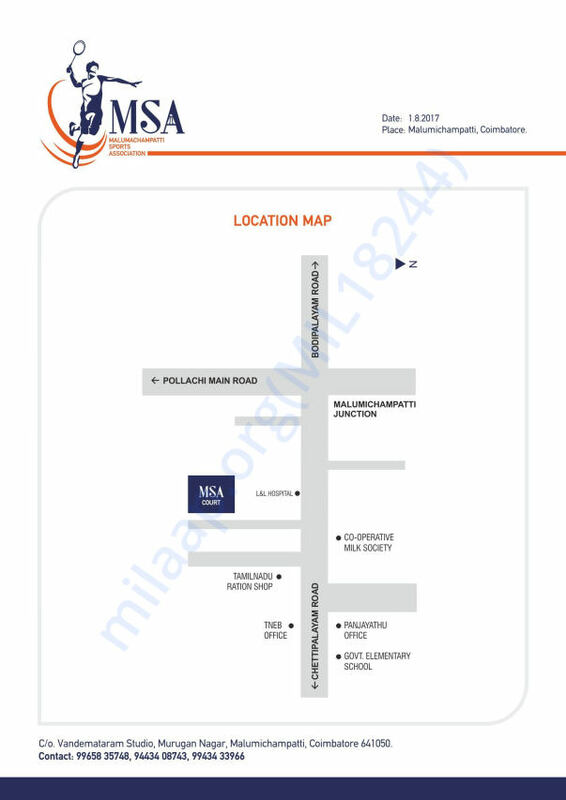 We attached documents for more details about badminton court and location details.